World Routes to "enhance Guangzhou's image on the global stage"
Chen Zhiying, executive vice mayor of Guangzhou, has stressed that World Routes 2018 will help to "enhance Guangzhou's image on the global stage". The 24th World Route Development Forum is being held in Guangzhou from 15-18 September 2018, providing a global meeting place for airlines, airports and tourism authorities to plan new flights and increase existing services. 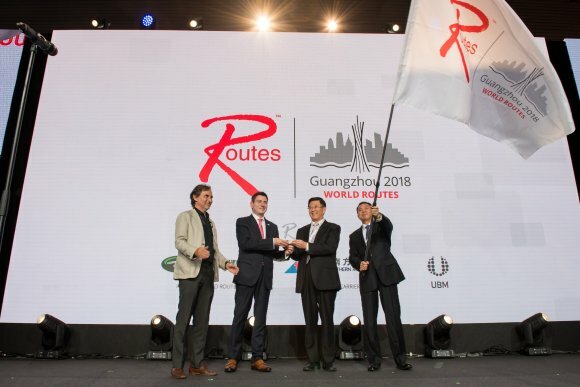 World Routes 2018 is being hosted by Guangdong Airport Authority (GAA) and Guangzhou Baiyun International Airport, which earlier this year opened its second terminal building. This major infrastructure development will enable the airport to handle more than 70 million passengers in 2018 and is expected to put Guangzhou in the top ten of the world’s busiest airports over the coming years. World Routes 2018 presents an unrivaled platform for route development professionals to discuss, develop and plan network strategy. It is timely for the prestigious event to return to China, having previously been held in Beijing in 2009 and Chengdu in 2016. This year, 21 carriers will be in attendance which have never previously attended a World Routes event, as well as nine of the ten largest carriers in the world, including Delta Air Lines, Emirates, British Airways and Lufthansa. 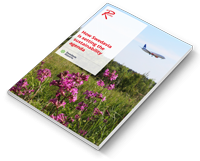 “China is the world’s second largest aviation market and it is continuing to grow. During 2022, it will displace the USA as the busiest on earth and by 2036 its market will have a colossal 1.5 billion passengers a year,” said Steven Small, Brand Director at Routes. Founded in 214 BC, Guangzhou is a historic port on the Pearl River near the South China Sea. Known for its perennial blooming plants, the ‘City of Flowers’ has been an integral part of the Guangdong Province’s economic boom since the 1990s. "World Routes 2018 will mark another global event that Guangzhou hosts after the 2010 Asian Games and the 2017 Fortune Global Forum," said Chen Zhiying, executive vice mayor of Guangzhou, at a press conference on 10 September. "This shows how the world recognises and expects the development of Guangzhou. It is an important opportunity for the city, in a new era, to further reform and grow the civil aviation industry and the airport economy and promote international trade, cooperation and exchanges in ways to enhance Guangzhou's image on the global stage." Guangzhou's Baiyun Airport hopes to launch another 30 international routes within three years. As one of China's three largest international aviation hubs, it is designated as an integral part for the Belt and Road Initiative, connecting to 48 cities in 29 countries along the routes. "In 2018, we will seize the strategic opportunities from the Initiative and make full use of the construction of the airports within the Guangdong-Hong Kong-Macao Greater Bay Area. In doing this, we will share the benefits of urban development with the rest of the world and advance the building of the world-class aviation hub," said Zhang Kejian, president of Guangdong Airport Authority.